Three-time Tour de France champion Alberto Contador has been found guilty of using banned substances and has been disqualified for two years by the Court of Arbitration for Sport in Lausanne, Switzerland. ­The judges rejected the Spaniard’s claims that he tested positive for clenbuterol because he had eaten contaminated meat. 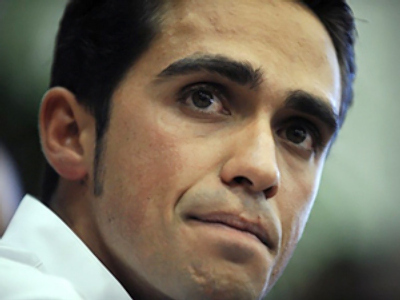 The CAS’s ruling goes against the decision of a Spanish cycling tribunal, which rehabilitated Contador last year. 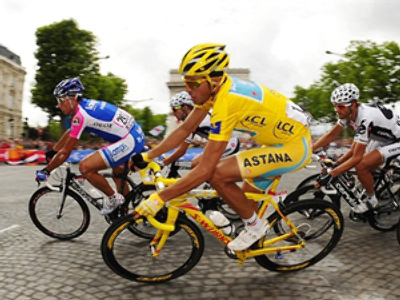 The 29-year-old failed his doping test on July 21, 2010 during a Tour de France rest day. 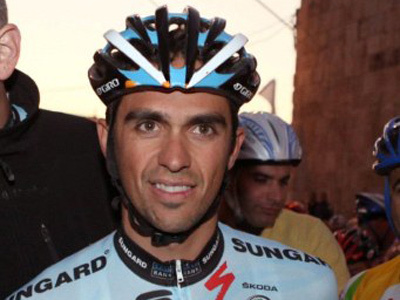 Despite the result, Contador continued to race in the event and won it. Now he has been stripped of his title, and Andy Schleck of Luxembourg will be declared Tour de France 2010 winner. Contador’s disqualification has been backdated so he will be eligible to return to action on August 6, which means he will still miss this year’s Tour de France and the London 2012 Olympics. The Spaniard is only the second Tour de France champion, after Floyd Landis of the US in 2006, to be disqualified and stripped of victory for doping.